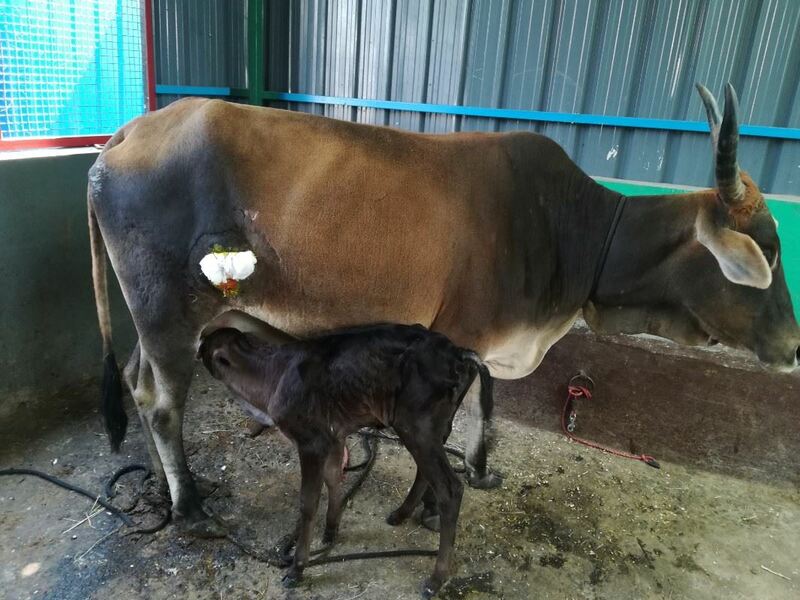 RESQ Charitable Trust - A Cow and her Calf Reunite at RESQ. Maggie was reported on our webline after having a septic deep open wound on her stomach. When our team went to check on her they found out that she had also given birth recently and her mammary glands had inflamed. When we tried to approach her, she hesitantly moved away. After getting a hold of her, our team calmed her down and gained her trust. When our doctors examined her wound they decided that it was best if we admitted her at the RESQ Centre. But how could we take Maggie without her child? After searching the perimeters for a while, our team returned broken-hearted to the Centre with Maggie alone, because her calf was nowhere to be found. As soon as she was admitted to RESQCT, we administered treatment to try and improve her state of discomfort. Her wound was sutured shut to stop the bleeding. More than the physical pain, the pain of being away from her child was what troubled Maggie more. Our team was helpless and prayed for Maggie’s child to be found soon. The incredible thing about miracles is that they do happen. A few days after Maggie’s admission, a calf from the exact location was brought to the RESQ centre. Without further ado, we brought the calf to Maggie and the joy in their eyes was proof enough, that it was indeed Maggie’s child. They are now inseparable! Maggie is still under treatment at the RESQ Centre, however, her spirits are higher than ever, now that she has her child by her side. When the mother-daughter duo reunited at RESQCT, their happiness knew no bounds. Watch the video where Maggie and her Calf reunite at RESQCT.